While discussing the movie poster for Disney’s latest (live-action) rendition of Beauty and the Beast (2017, by Bill Condon) as an introduction to semiotics in a first-year university screen studies course, I was struck by the number of young adults excited by the prospect of a live-action retelling starring Emma Watson. Their enthusiasm was backed up in the following few weeks with glowingly positive reviews of the film, a fact that is somewhat curious considering the assumed demographic for Disney and how closely the 2017 film aligns with its 1991 animated predecessor. The Walt Disney Studios are known for their polysemic approach to animation that entertains both children and their parents, and their play on nostalgic ideals of childhood (see Buckingham 1997). Yet they appear to have tapped into an altogether new, inter-generational market with this live-action offering. The distinction between remakes and adaptations can be slippery, and the film industry has a long history of re-telling tales in both forms. Remakes imply a sense of replication and are conventionally defined as films remade as films (see Leitch 1990), while adaptations suggest a greater license in terms of both form and content (see Hayward 2006). 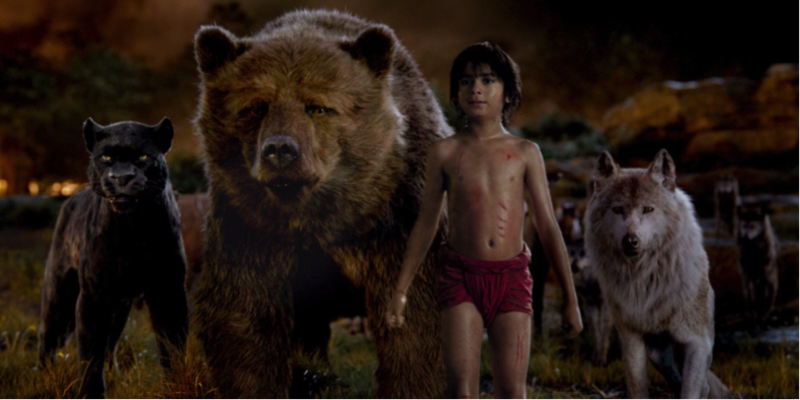 Filmic remakes have historically been driven by technological advancements such as the introduction of sound, Technicolor, digital re-mastering and 3D innovations. The CGI capabilities that make the life-like characterization of animals in Jungle Book (2016, by Jon Favreau) and the anthropomorphisation of household objects in Beauty and the Beast possible certainly comply with this model (see respectively figure 1 and 2). However, where Disney used to rely on placing its home video releases on moratorium to keep its content fresh for each new generation of children, digitization of home entertainment has made this degree of control more difficult. Updating their catalogue to a live-action form (recent media reports suggest a further dozen ‘classics’ are currently under production) is an alternative way of recycling material and keeping those new generations of children engaged. The change in form also fits with Linda Hutcheon’s (2006) broad and encompassing conception of adaptation, whereby cultural texts are understood to evolve in accordance with socio-cultural needs in a Darwinian, ‘survival of the fittest’ way. Fairy tales are a well-documented cultural artifact exemplifying this model, as they have moved from oral tales to written tales, to animated and live-action films. In the instance of Beauty and the Beast, I argue here that the latest film is best understood as an adaptation, and it works alongside nostalgia to facilitate multiplicity in audience engagement. While an adaptation needs to make sense to an audience without prior knowledge of the antecedent text to be successful, Hutcheon explores how texts are experienced by audiences who are aware of the adaptation as adaptation. She suggests the pleasure for the knowing audience lies in ‘an interpretive double, a conceptual flipping back and forth between the work we know and the work we are experiencing’ (Hutcheon 2006: 139). Intertextuality provides the cues for such oscillation. 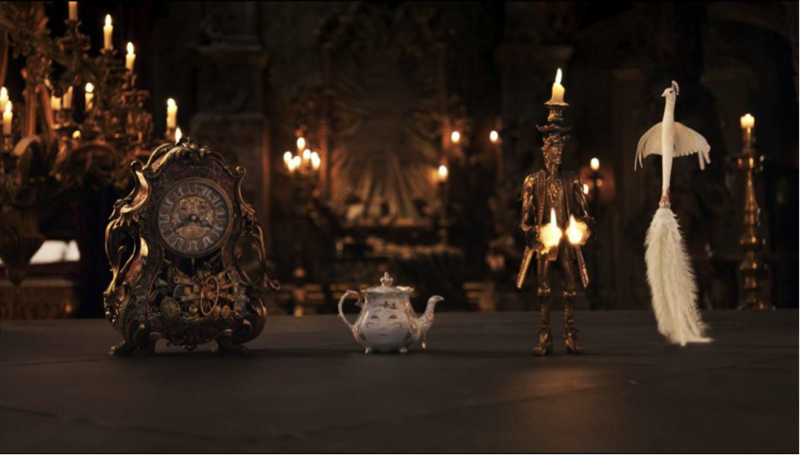 In Beauty and the Beast it is the close adherence to songs, costumes and specific scenes in Disney’s animated text that provides these opportunities for the knowing audience. Figure 3. 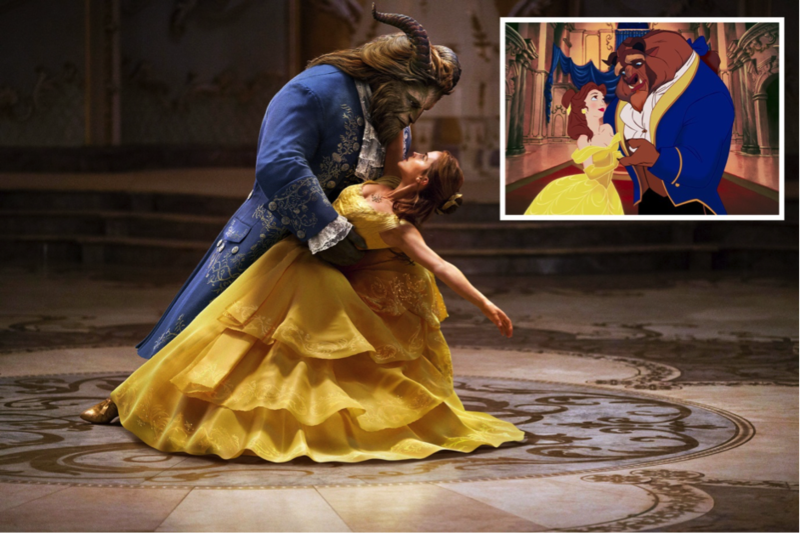 Emma Watson as Belle in Disney’s Beauty and the Beast (2017) with inset image of costuming from the 1991 animation. The experience of the live-action film in this way is further supported by a deliberate nostalgia. Similarly an active process, nostalgia filters the past through an ongoing and selective form of remembering (see Davis 1979, Wilson 1999). And Disney has enhanced the young adult audience’s nostalgia for childhood both through intertextuality with the animated film and casting Emma Watson in the role of Belle. Many of those who sit demographically between the children and parents to whom Disney conventionally appeals have literally grown up with Watson through her 10 year role as Hermione Granger in the Harry Potter films (2001 to 2011). The conflation of childhood nostalgia with viewing the adaptation as adaptation suggests Beauty and the Beast functions as a particularly potent and actively engaging text for this inter-generational audience. In this way, Disney has created a broad and multiple market that moves beyond the child audience, and subsequently secures their future at the box office. Buckingham, D (1997) “Dissin’ Disney: critical perspectives on children’s media culture”, Media, Culture & Society, vol. 19, pp. 285-293. Davis, F (1979) Yearning for yesterday: a sociology of nostalgia, Free Press, New York. Hutcheon, L (2006) A theory of adaptation, Routledge, New York. Leitch, T M (1990) “Twice-told tales: the rhetoric of the remake”, Literature/Film Quarterly, vol. 18, no. 3, pp. 138-149. Wilson, J (1999) “‘Remembering when …’ A consideration of the concept of nostalgia”, et Cetera, vol. 56, no. 3, pp. 296-304. Lisa Hill is a Lecturer in Creative Industries at the University of the Sunshine Coast (Australia). Her doctoral thesis examined the intersection between nostalgia, postfeminism and adaptation in screen texts, and her publications explore children’s television, representations of gender on screen, celebrity, adaptation and nostalgia.